Edupunk – Where is all of this headed? The open learning movement has taken the world by storm, especially in the area of higher education. The possibilities of the internet seem endless and innovators and ed techs are constantly creating tools and coming up with ideas to make learning more accessible and at a lesser cost. But the established institutions are not taking this threat lightly. They have acknowledged open education but have worked their way into it and have set up proprietary rights. Jim Groom and Brian Lamb in their article, Never Mind the Edupunks; or, The Great Web 2.0 Swindle have warned about the dangers of this infiltration and the overt and covert means that are used. Related to the term edupunk is the concept of DO IT YOURSELF (DIY), which is bypassing the established educational institutions and using the resouces of the internet to educate oneself and learning from others online.The idea is to be independent of all the commercial aspects of education and become more responsible for one’s own learning. Because of this growing influence of open education, colleges are being forced to adapt and some have begun to offer courses online free of charge , such as those offered by MIT named on OPENCOURSEWARE. The idea of collaborating with others is an integral part in the open education system but not everyone agrees completely. One such person is the New York Times columnist, Susan Cain, in her article, The Rise of the New Groupthink , calls for the return to the individual effort and claims that many creative ideas are the result of people working by themselves and not in groups. This is contrary to what Jim Groom is saying. The relatively new offering online of the course entiled “DS 106”, goes against what Susain Cain is proposing. It is worth noting that open education is now a prevalent idea in places such as New Zealand, Canada, China and other parts of the world. We in the United States sometimes tend to be parochial in our thinking but the internet is a world wide phenomenon and ideas emanate from just about any location. What is a personal cyberinfrastructure? A personal cyberinfrastructure is making a space online for academic, personal, and professional reasons. …students would build a personal cyberinfrastructure, one they would continue to modify and extend throughout their college career — and beyond. An example of my personal cyberinfrastructure is my blog. I am delighted that I will be able to keep my personal cyberinfrastructure even after college. To provide students the guidance they need to reach these goals, faculty and staff must be willing to lead by example — to demonstrate and discuss, as fellow learners, how they have created and connected their own personal cyberinfrastructures. Professor Smith made sure he did every assignment with the class, so we had a better understanding. I am very thankful for that. Some professors like to assign work that they never discussed in class. This is one way students grow to dislike professors. Every campus should be a digital campus. Classes would definitely be more engaging. Since we are in the 21st century, everyone should begin to frame their online identity. A digital identity should be an online address one can have no matter where they are, a space where you can track that person as they move not only from being a freshman to a sophomore, but from an undergraduate to a graduate and beyond. This quote sums up why everyone should have a personal cyberinfrastructure. Reflection of Academic Computing 230 ~ Academic Computing 230 was a very interesting class. I did not expect to have this much fun. Everything I learned in this class was new to me. Every day I accomplished something different. I am very proud of myself. The day I was asked to make a video and upload it to YouTube, I wanted to cry. With the help of the Internet, I completed that assignment. This class taught me several things that I will pass on to others. I can now say that I am technologically advanced. I love having my own digital space. I will definitely use technology in my future classroom. There is absolutely nothing I would change about this class. I now have a DIY attitude, thanks to this class. Thank you very much Professor Smith :-). After reading the texts of Gardner Campbell and Jim Groom, I learned that technology is bringing a big change in our society, especially in our teaching and learning style. The following picture shows my understanding of the text by Campbell. According to my understanding, a personal cyberinfrastcuture is a computer system used by individuals having their ownership in that system. we are in a situation where many of our students and faculty are using tools like blogs and wikis to trace the work they are doing, both as part of a course as well as independent thinkers. The key here is the crafting of an identity with a purpose, the conscious consideration and creation of one’s professional/academic identity online: a domain of one’s own! It is important to have one’s own digital space since it is important to protect identity. Having you own digital space means that you can teach and learn in your own comfort, feeling as its your classroom. When thinking of education 230, I heard that it is all about making presentations and creating lessons in digital ways and it seems a lot of work. When I entered this classroom, I found out that it is going to be a fun learning. As approaching the end to this course, I believe I have learned something different from what students used to tell me who took this course earlier. I did not find this course to be a lot of work. I learned many new techniques that are going to help me in future as being an educator. I love this idea of open learning, which not only makes life easy, but also creates educators who will make their future students’ life easier. The most important thing in this course was creating our own work and then making our own personal digital space. I do not think their was anything least important, since I had to learn everything from the basic steps. All the assignments were important in learning what I have learned by now. Do You Need Your Own Digital Space? 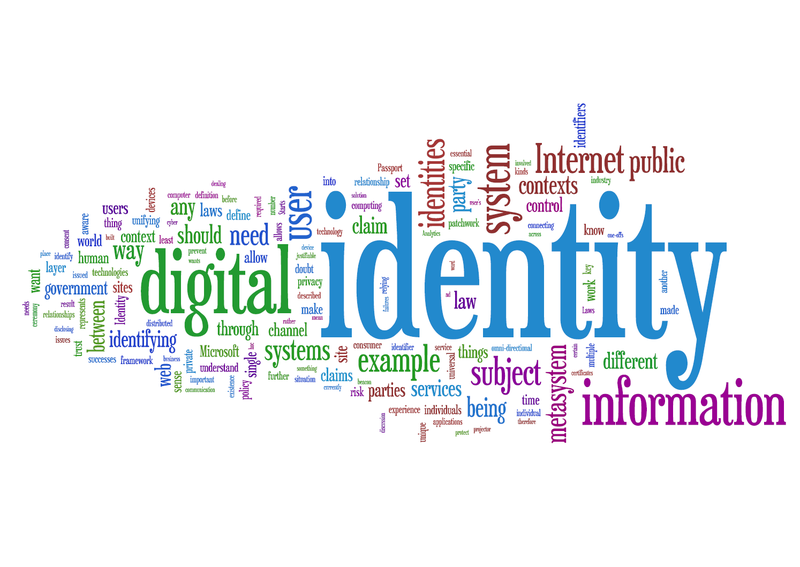 …crafting of an identity with a purpose, the conscious consideration and creation of one’s professional/academic identity online: a domain of one’s own! To Jim and Gardner, the need to stop fashioning for students special spaces for teaching and learning is a principal problem. They wish for educators to start looking to the internet itself as it’s classroom, where you carve out your own space to teach and learn (a bit like what we’ve done here with edtech.dewlines.org). For this winter session you’ve been given a space to contribute to as an author, but now it’s time to take your work and place it into your own domain. To do this you are going to need to export your posts through the Dashboard’s Tools > Export function which will give you an .XML file that includes all of your work. After that you will need to create either a free WordPress.com blog, or step-up and buy your own webhosting plan and with WordPress installed. Either is fine, though commercial hosting plans give you a lot more flexibility and control. Here is a link to how to create your on blog with a commercial host, and the WordPress.com option is pretty self explanatory (the site guides you through the process). Export your posts from this blog and import them into your own blog. Create an “About” page on which you give a brief description of yourself and your professional goals. You are also welcome to create additional pages and include any kinds of materials you’ve created in other courses or on your own. Pick a theme for your blog and customize it. Add any plugins you’d like. Remember, this is now your space, it’s up to you to cultivate it! and finally describe what you expected to get out of this class, and if that changed as the course proceeded. What was most important to you? What was least important? What is edupunk? Edupunk is a way in which you teach and learn with a Do It Yourself (DIY) attitude. DIY attitude can be found mostly in college students. Some college students don’t want to go to classes every day, so why not have a DIY attitude?!?! If I miss one day of class, I will not be able to get back on track. I don’t depend on classmates for class notes because the way I understand notes, is different from the way they do. 1-1=0. You cannot have talk without action and you cannot have action without talk. Talk <–> Action. Ed techs like to claim that the Internet represents a revolution in human communication, one with profound effects on how we produce, consume, share, and value knowledge. The Internet is a way of sharing information with many people. If you don’t know something, the Internet is your best friend. Technology makes life better and easier. Educational technology is the study and ethical practice of facilitating learning and improving performance by creating, using and managing appropriate technological processes and resources. Technology enhances learning. Students will be more engaged and that is always a good thing. Students will love to work on technological devices during school. One thing that I like about higher education is that you can create online spaces. Higher education will be known as the guardian of knowledge. Some basic concepts of edupunk are: human interaction, sharing information, and teaching. Educational technology will continue to be on the rise. Although the word Edupunk seems weird, but the actual definition is something different from what I thought about it. Edupunk is basically teaching and learning through technology or also called Do It Yourself. There are simply too many applications of open-source software, open content, and public-service teaching and learning practice to cover them all here. This shows that Edupunk is a way of teaching and learning in openness. Long ago, the internet was only used as a search engine, but now its being used to connect the world. I believe that the best way to connect world is to find ways that can benefit people, which includes online learning. Having signed up for a Gmail account, a user can publish websites with Blogger, manage groups and mailing lists with Google Groups, videoconference with Google Talk, write collaboratively with Google Docs, track topics with Google Alerts, manage syndicated feeds with Google Reader, share video with YouTube, post images with Picasa, and do whatever it is that Google Wave is supposed to do. We need not belabor the power and popularity of services such as Flickr, Facebook, and Twitter. All this incredible functionality is delivered in remarkably stable and user-friendly environments, and it’s available free of charge! Google is an example of edupunk, where people can connect and learn many things by themselves. I found this interesting Blog on Edupunk that explains what an Edupunk really want. I like the following quote An edupunk is someone who doesn’t want to play by the old college rules, which is something I totally agree with. I am also one of those people who want to save time from traveling around and rather sit in one place and connect with others to learn. I love online classes. There are many students around who need to work to survive and also come to college to learn. By the time, these students get to school, they are tired and they are not able to focus on the learning in class. I think that online education can be really helpful in this type of situation. If these students can use DIY technique or through Edupunk, they can benefit themselves by both working and learning at the same time. Reading Jim Groom and Brian Lamb’s article Nevermind the Edupunks; or, The Great Web 2.0 Swindle is what started it for me. It’s not the beginning, as there were links and networks that brought me to this article – working with e-portfolio at York College and the CUNY Academic Commons are two. But this article lead me to start following a hyperlink trail that lead me to read George Siemens, Leigh Blackall, Stephen Downes, Tim Berners Lee, Seymour Papert, David Foster Wallace, Mark Weiser, Jay Rosen, Gardner Campbell, Clay Shirky, Dave Cormier, Andy Carvin, and this was the beginning. 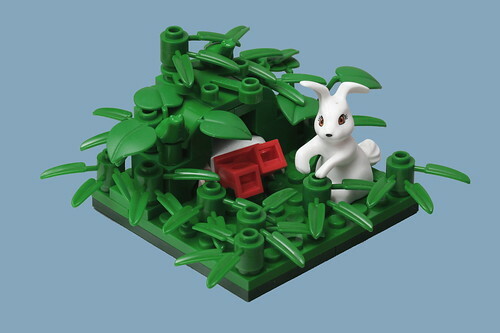 From there I discovered ds106 and leaped into yet another rabbit hole. One that has helped me become more productive than I have in years – creating art, teaching new ways, building spaces, and most importantly making relationships with people I truly am excited to engage on a daily basis. I’m so lucky to have found these people online and connected with them and believe it’s literally changed the trajectory of my career as an academic – all in about a year and a half’s time. These things are not done by technology, but rather people thinking and working together. Our technology may afford a unique possibility in this endeavor by bringing disparate individuals together in an otherwise untenable community, yet it doesn’t enhance critical thinking or improve classroom performance, we do that, together. The idea that we cannot replace the person that is teaching and the students connections with one another with technology is an important one. There is so much we can teach ourselves, and learn from the rich resources of the Internet. But the connections with others online with which we can share and engage provides can be what we really need to strive for. Is it the technology or the community that matters most. The conversations and cursing you might find about DIY Education and Edupunks can be a case-study on this particular issue of tech vs. community vs. the innumerable other lenses through which people are (re)envisioning these ideas. So for your next blog post start with the Groom/Lamb article linked at the top and see where it and your journey through articles, blog posts, videos, images, etc. takes you. Quote, embed, and/or link to as many of the pieces you find that strike you. Give your perspective on what edupunk and DIY education looks like or means. My favorite teacher growing up was my 4th grade teacher, Ms. Buckwitz, a Corpus Christi a Catholic grade school. And I’m not Catholic, I just took a three-and-a-half-year tour of grade school wearing dark brown slacks, white button down shirt, and a brown clip-on tie. This was part of my roving schooling days, as my family attempted to find the ‘best’ education in town. Ms. Buckwitz had a way with students that weren’t motivated to work on their cursive, or times tables. She would simply say, “I don’t get mad…I just get even.” It was threat that included the playful throwing of semi-soft objects at students from a distance if she caught them not on task. I’ll admit that I don’t recall whether she was a progressive educator, or simply following a curriculum that was likely rigid and boring (remember it’s Catholic school). But Ms. Buckwitz was a lively teacher, getting everyone working on something with a good energy. I can’t believe I found an image of it online, but this was a figurine I gave her at the end of my 4th grade year. Now Ms. Buckwitz does not blog about teaching, or not that I could find (4th grade was a lonnnng time ago). But but the blogger about education and his teaching I’m going to write about is Jim Groom and his site BavaTuesdays. Jim is an instructional technologist at the University of Mary Washington working in the Division of Teaching and Learning Technologies (DTLT). Jim also teaches a class out of UMW on digital storytelling, called DS106. I found Jim and ds106 in the past year while he was in the midst of teaching DS106 as a massive open online course (MOOC). This basically meant teaching a class with registered students, and then inviting the world to come and take the course as well. I was one of those ‘open participants’ taking the class with probably another 100 or so people. There’s a lot more to talk about when it comes to Jim’s teaching and his theories about models for open education. But for this post, it’s this risk taking, the willingness to play alone with his students and become someone else, literally to make a point about story and teaching I find amazing.